Work is underway for the Upwey-Belgrave RSL carpark. Work has begun to improve the car park at the Upwey-Belgrave RSL. When finished RSL members will benefit from a sealed car park, improved drive way and better stormwater drainage. The project was announced in September last year with the state labor government committing $100,000 to upgrade the RSL’s parking arrangements. Works will include a concrete kerb and channel, internal and external underground stormwater drain, a wider driveway entrance to the car park, asphalt surfacing and line marking. Upwey-Belgrave RSL President David Eaton said members were looking forward to the upgrade which will provide better access for everyone including those using wheelchairs and walkers. 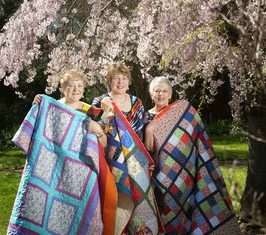 “We arrange for morning teas and social activities to take place here so it will be wonderful to have a safe carpark that encourages people to come and access the site, to drive and stay for a while, or be picked up by a friend. Member for Monbulk and Victorian Deputy Premier James Merlino congratulated the RSL members for making the project happen. 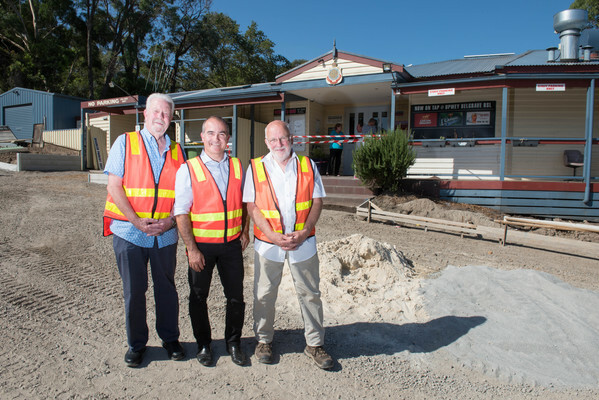 “I would like to acknowledge the hard work and advocacy of all members of the Upwey-Belgrave RSL in support of this project, In particular David, Mark, Beth and Leigh whose work has seen this important project be realised,” Mr Merlino said. Cr Noel Cliff said the drainage was almost complete and additional barrel drains had been installed. “We are grateful for the State Government’s contribution and Council is more than happy to be helping ensure this project goes ahead as smoothly as possible,” Cr Cliff said. The project is expected to be completed within the next four weeks.